Ever wished you had a Wizard at hand? I know I did! 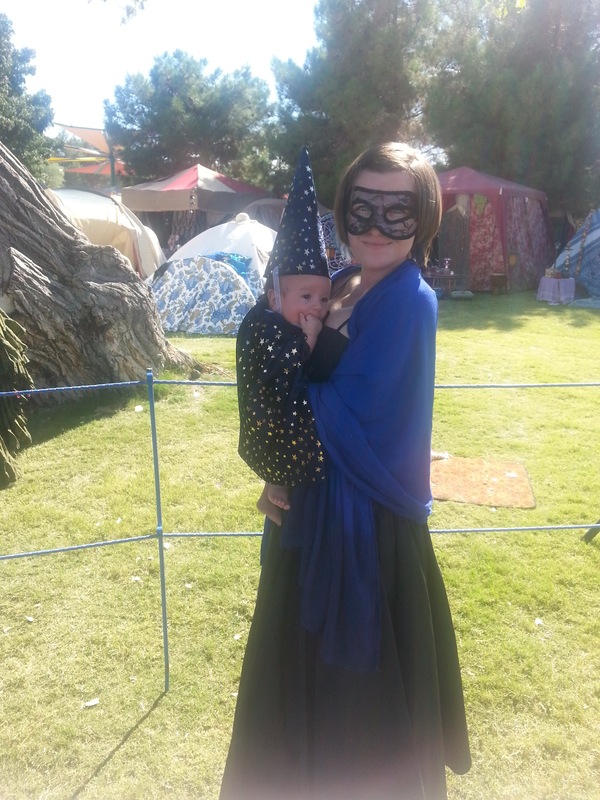 So I took matters in my own hands et voila – a cone hat and a cloak are traditional attributes of any respectable wizard. 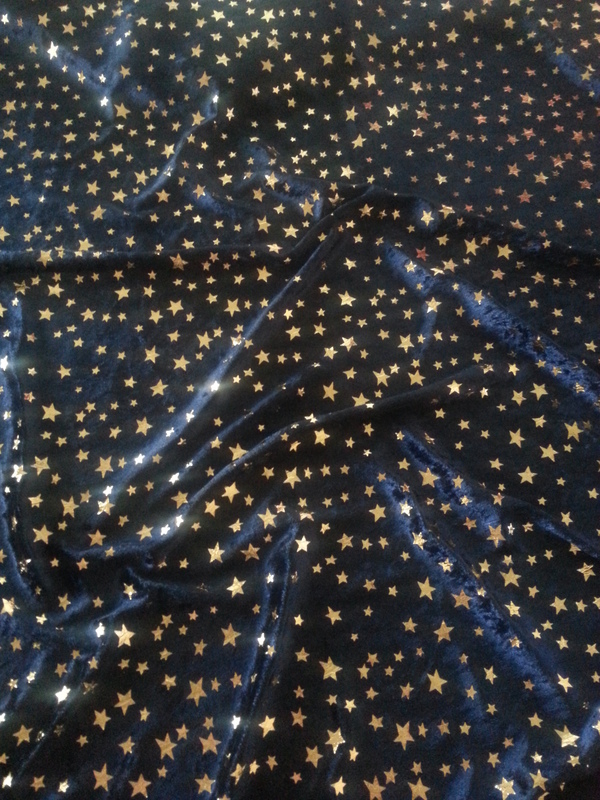 The cloak will be as wide as the fabric (usually 54 or 48 inches). The length is up to you – it can be as long or as short as you wish, just measure the wearer 😉 Mine was 14 inches long. I’ll be honest, making a cone hat that fits your wearer’s head is a bit more tricky and involves some mathematics. So, I’ll leave it for a next post 🙂 Meanwhile, go admire your brand-new DIY Wizard Cloak! And don’t forget to share your pictures! 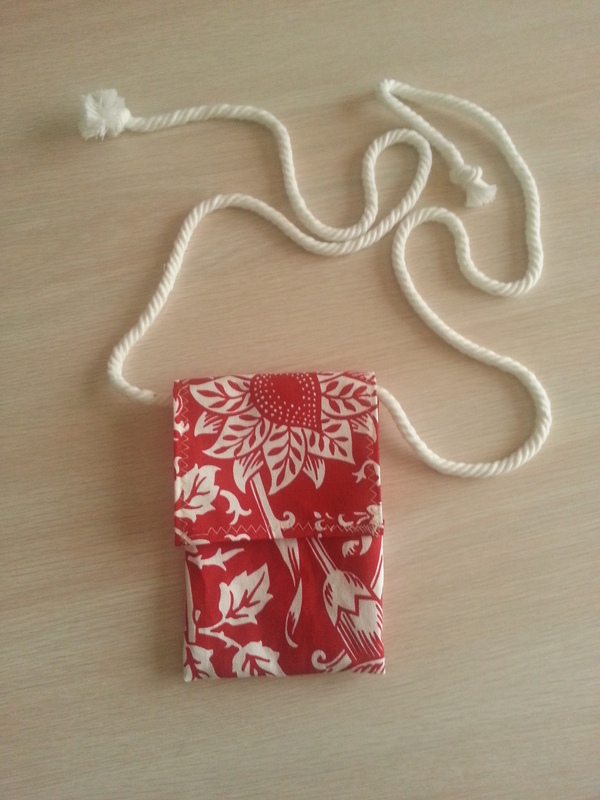 As promised, here is a (more or less) step-by-step how-to for the pocket. Or a wallet. What’s best to call it? I wanted this to be real simple, without complicated measurements. 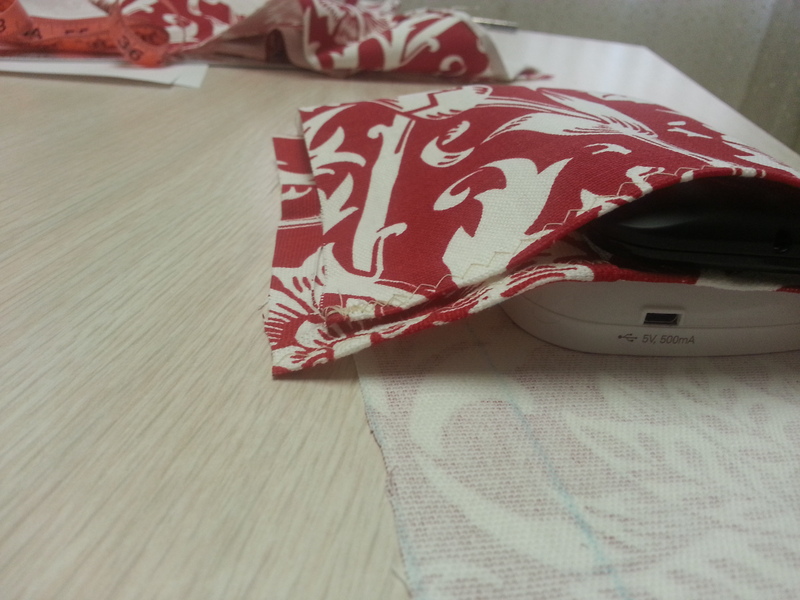 To know how much fabric I need, I simply wrapped the devices I wanted to fit inside in my fabric. 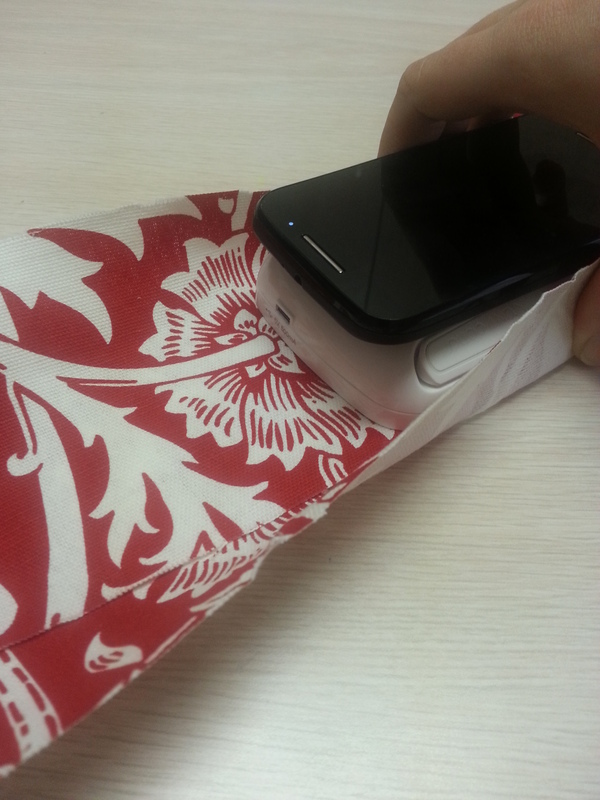 We also need a separate piece of fabric, the size of your largest device, plus seam allowance, no height. 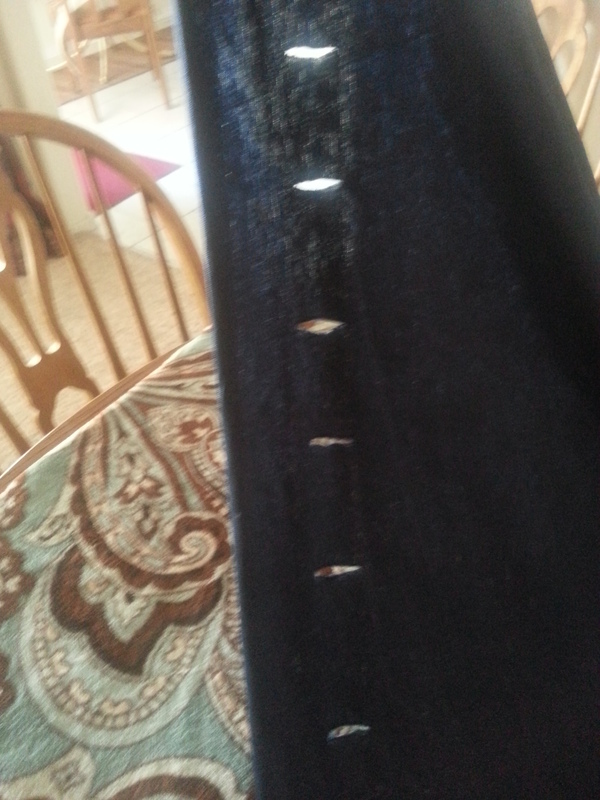 This is the divider inside the pocket. 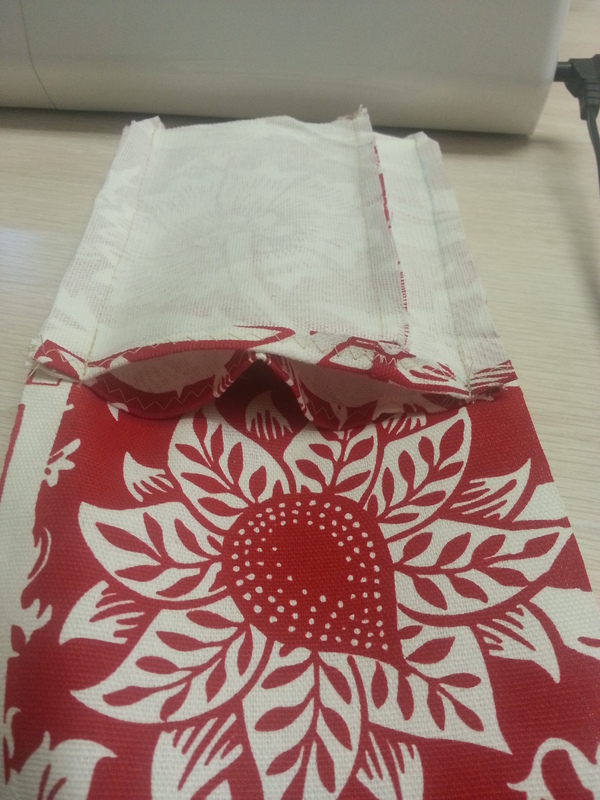 I hemmed the top and bottom of both pieces. 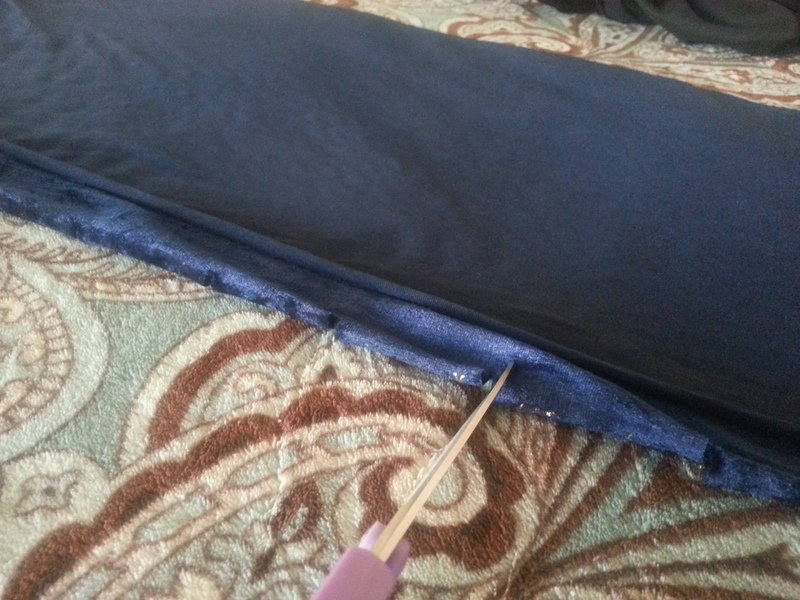 No need to hem the sides. I chose to sew, but feel free to use the Iron-On or anything else you prefer. How did your pocket turn out? I’d love to see it – do share in the comments! I’ve always been a pants and flats kind of girl, I take comfy over fancy any time, thank you very much. Best thing about pants? Pockets! 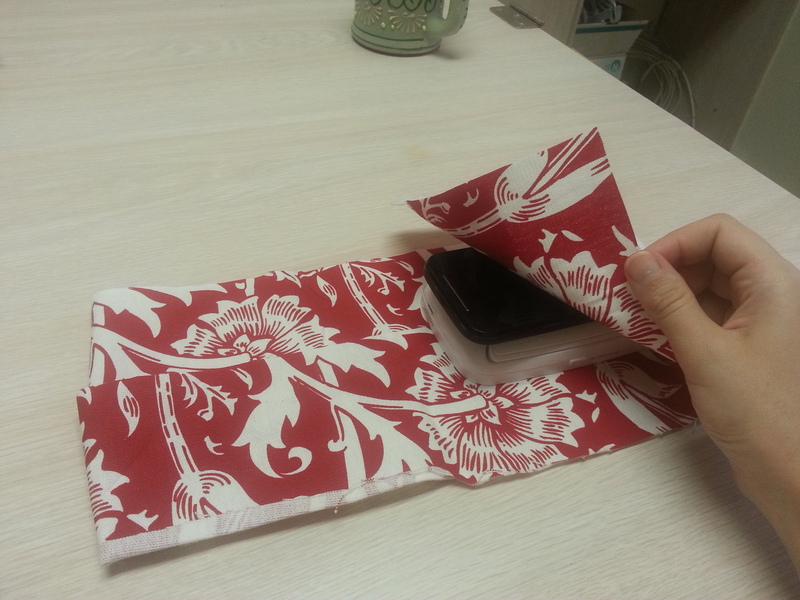 For phones, wallets, napkins, keys and hands. Yes, all of that in one pair of pants. 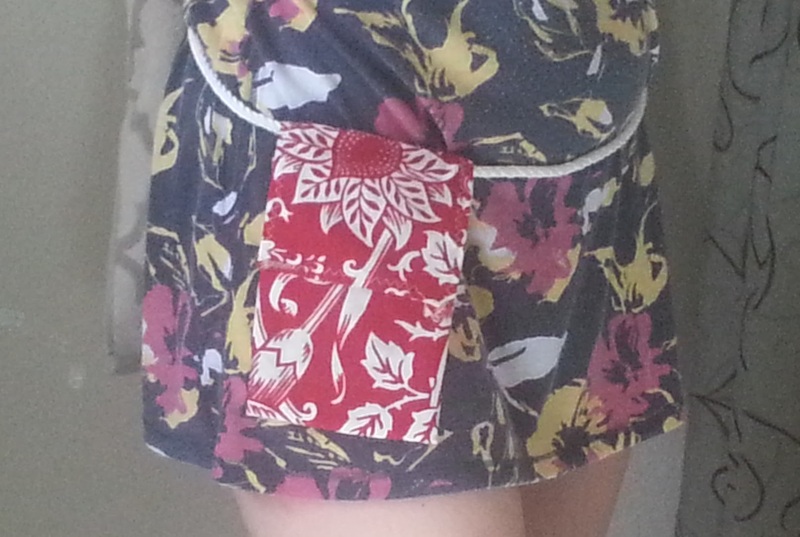 I’m telling you – pockets rule! Recently I’m experiencing painful lack of pockets. Due to obvious lack of pants – pants are not the most convenient of clothes to wear around in the house in the desert heat. But as we well know, lack of something is only noticed when said something is in need. 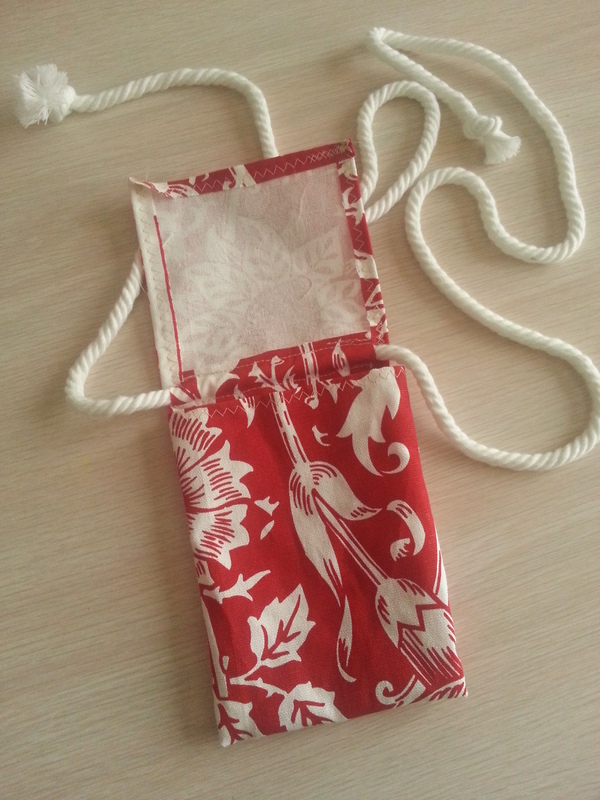 My need for a pocket gradually grew so pressing, that I decided to make a pocket. After all, why do I have My Pressshs if not to rescue me from such dire circumstances? That’s right, I needed a pocket to carry my phone and another very important device on me at all times without constantly missing one or the other or both! Now I tie the rope around my waist and enjoy a hands-free-always-on-me freedom. And THAT is a lavender plant! Isn’t that a dream?! No, definitely not a dream. It’s my bright reality! 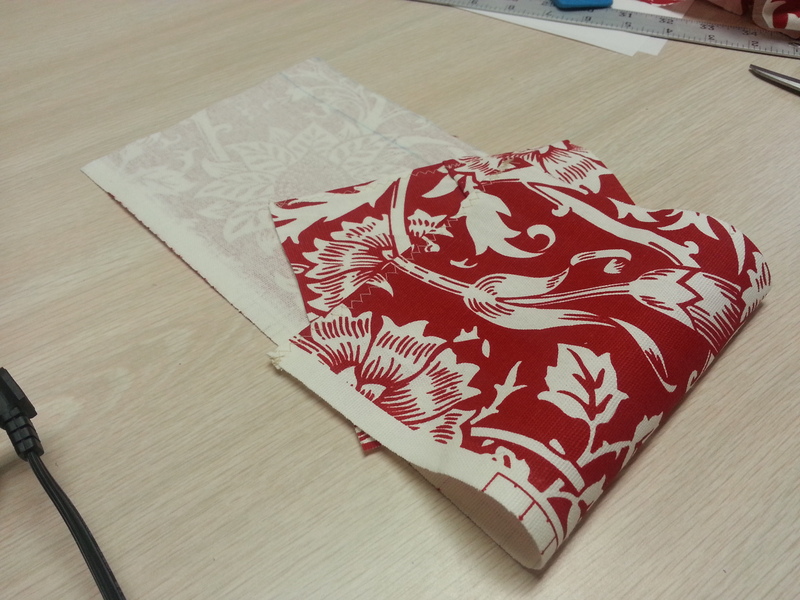 I have been hunting this particular fabric for a couple months. It was love at first sight. But just like in any good romance, there was a most serious obstacle in the way. The price. $29.99 per yard. My only option was to wait and hope. Which I did. And just like in every good fable and fairy tale, patience paid off. 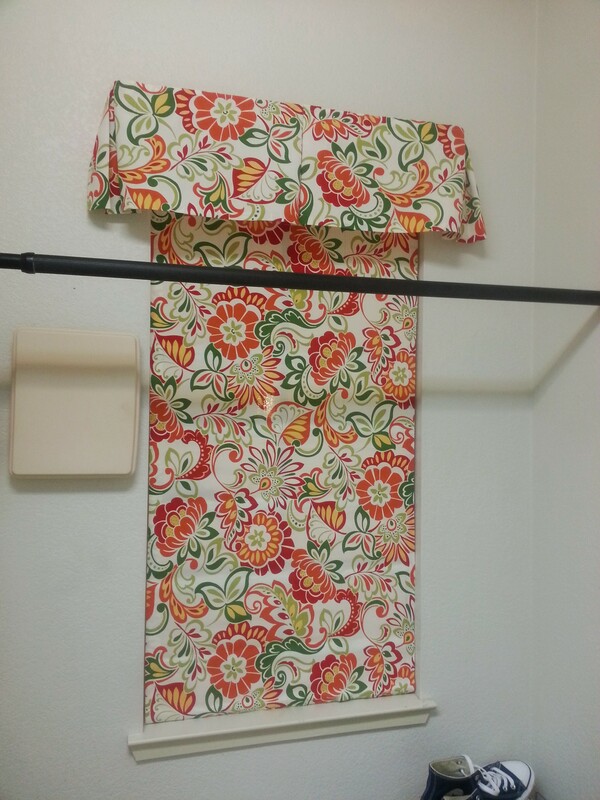 I got a 52″ x 84″ curtain of this fabric for $10! 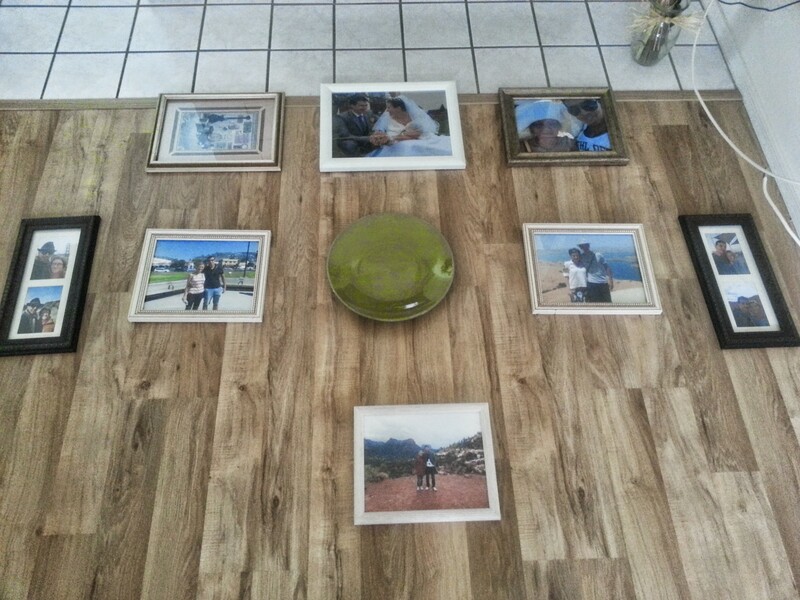 As a rule, a DIY project is always a unique experience, no matter how perfectly one follows a tutorial. 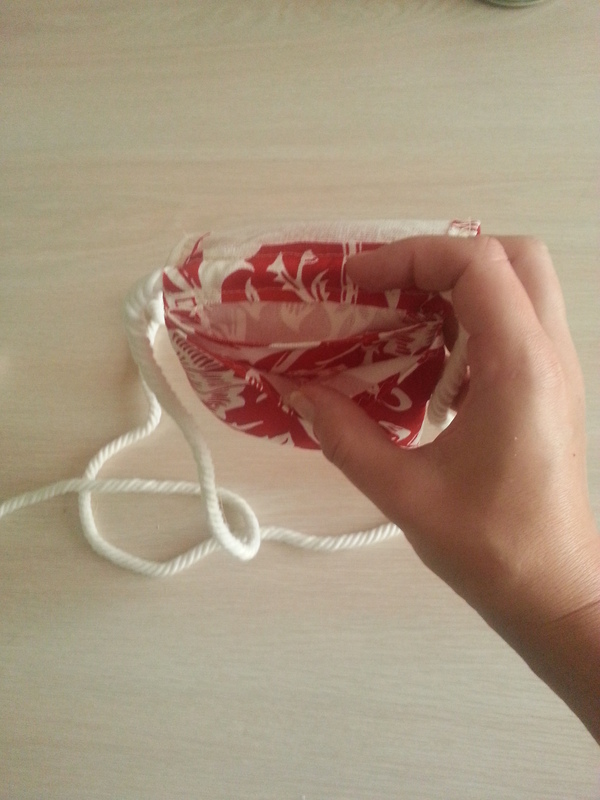 So, here are some tips that came up during my Roman Shade DIY. 1. 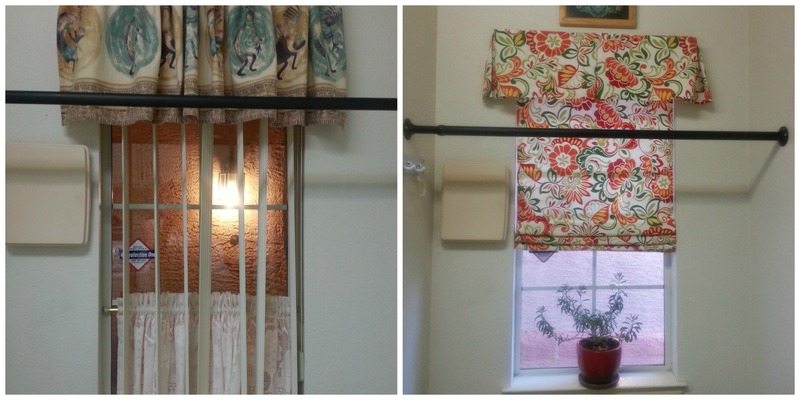 Hang your Roman shade INSIDE the window frame, ONLY if a window is framed. 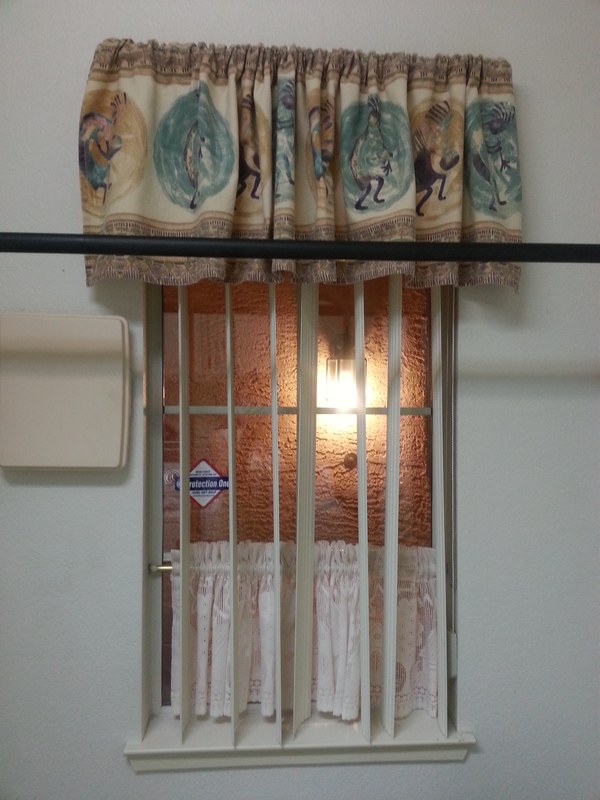 Hang the shade OUTSIDE the window frame if a window is unframed. DO NOT DO LIKE I DID. Unfortunately, I realized my mistake too late. Learn from it. 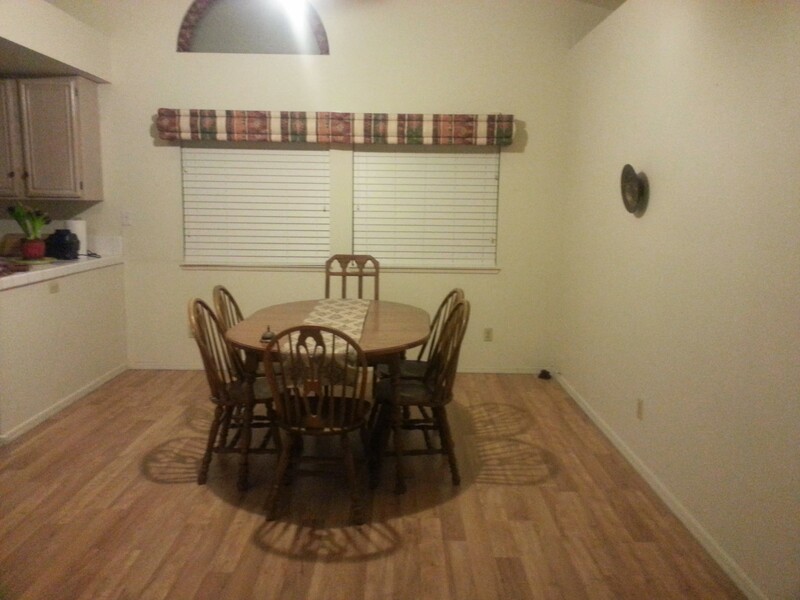 You will be rewarded with a better look – you room will feel fuller with less bare walls. 2. 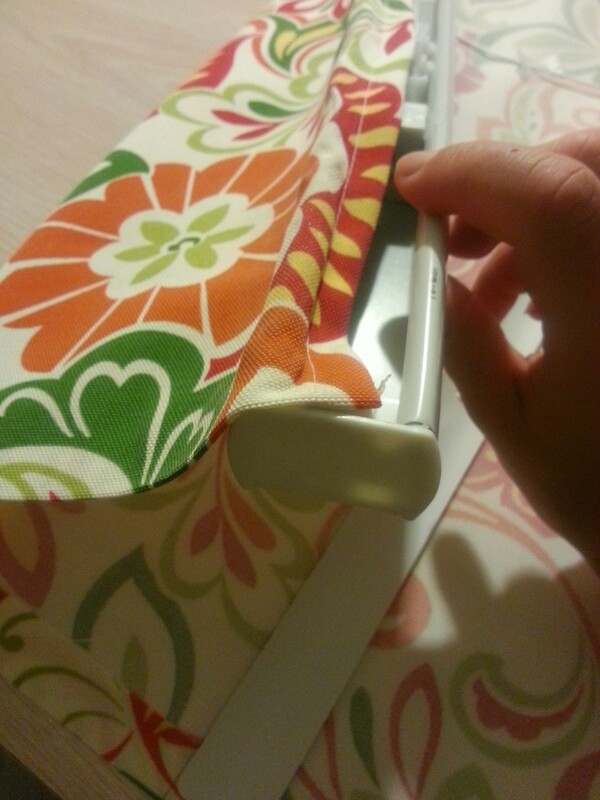 Avoid gluing fabric over and around the top lock bar of the mini shade. 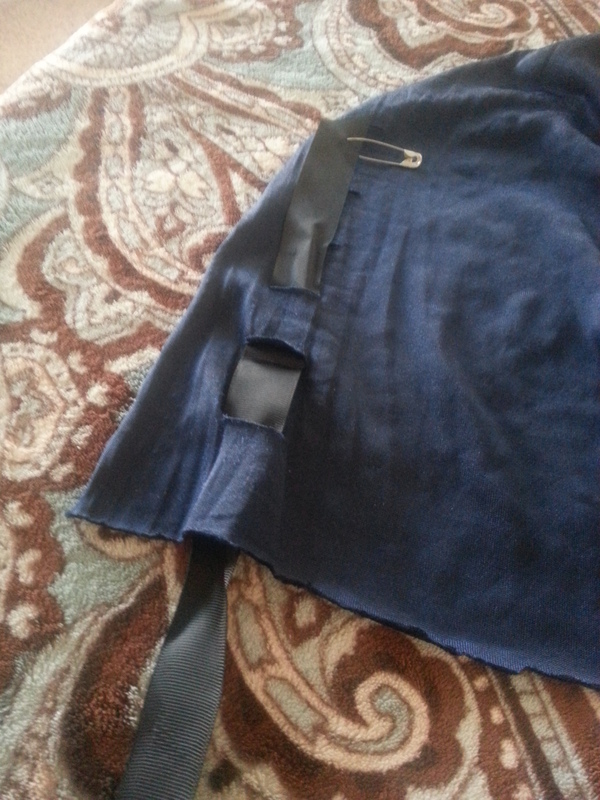 The fabric glued around the bar will not allow the lock to “click” completely and fix the shade in place securely. Also, learnt the hard way. 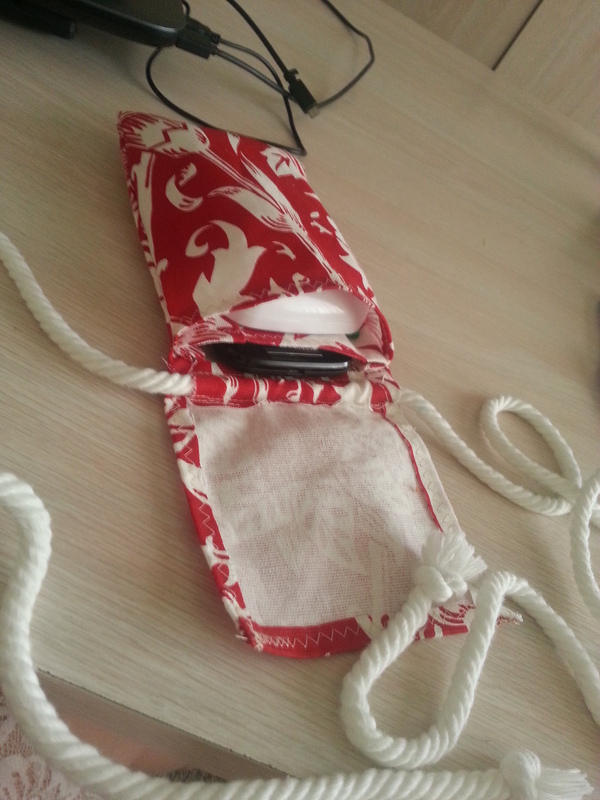 My shade can fall down altogether if I pull the cord too hard or too quick. So, keep safety in mind! 3. Valance. Better longer than even a bit too short. Just trust me on this one. 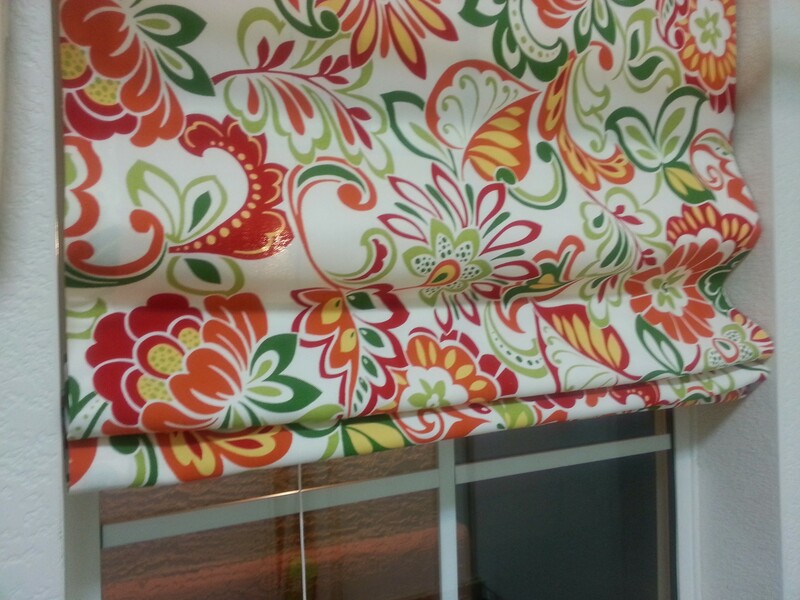 Even 1 inch makes a HUGE difference when it comes to valances. 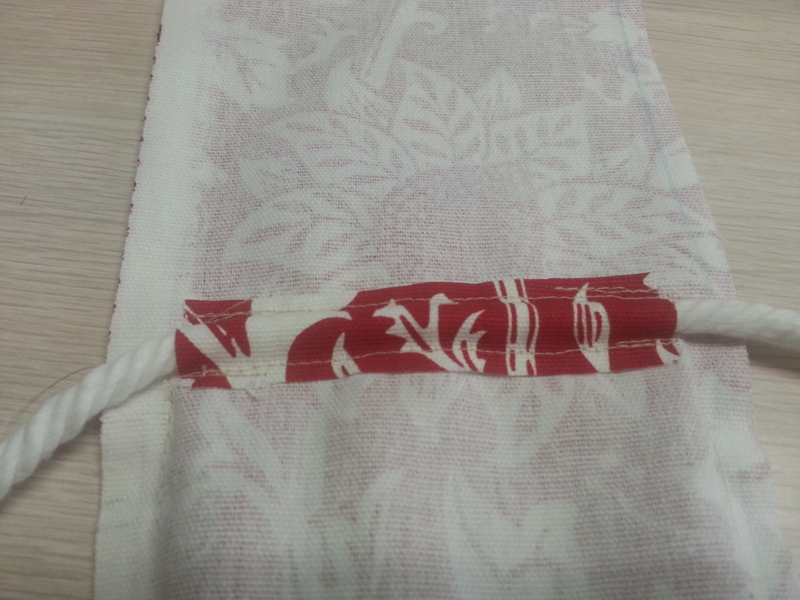 Originally, mine was 8 inches long, which is OK length for a valance. But in my room it looked like those pants too short for a boy. One added inch made the whole thing look nice and pretty. 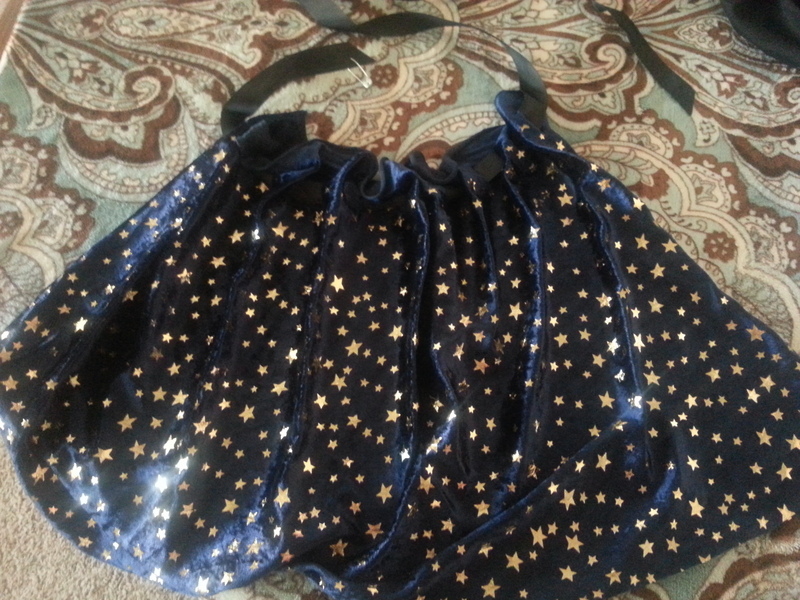 It hit me – I can DIY! And I have just the right thing for it. Since I got this real heavy (3.5 pounds!) fella from a thrift store for $2.50, it’s been sitting and waiting for a little TLC. Now it’s time to shine has come! All you need is an ugly scone, an old hairy paint brush, Martha Stewart Metallic Acrylic Pint ($2 at Wallmart will last you for ever), a damp cloth and 10 minutes of your time. I cleaned the scone with a de-greasing window cleaner and let it dry. Then I just took my old and hairy brush, dipped it in a tiny bit of the metallic paint and brushed it all over the scone, in horizontal strokes. 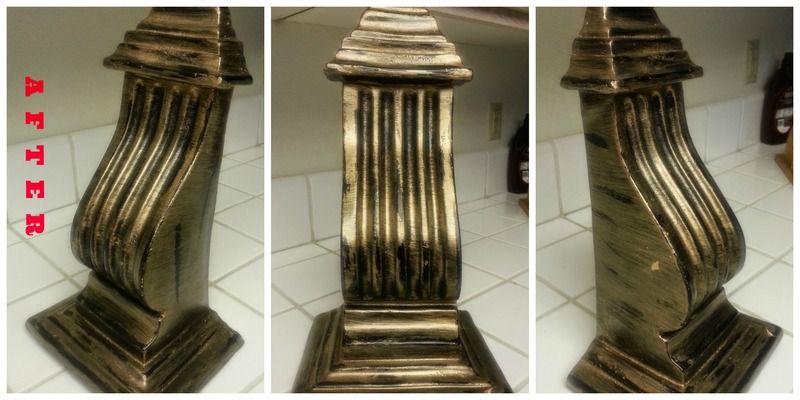 Why horizontal, when the ornament is naturally vertical? Turns out, horizontal strokes produced a better “antique” effect. Guess, it’s because vertical strokes gave a perfect polished new look to the project which was a bummer in my case. 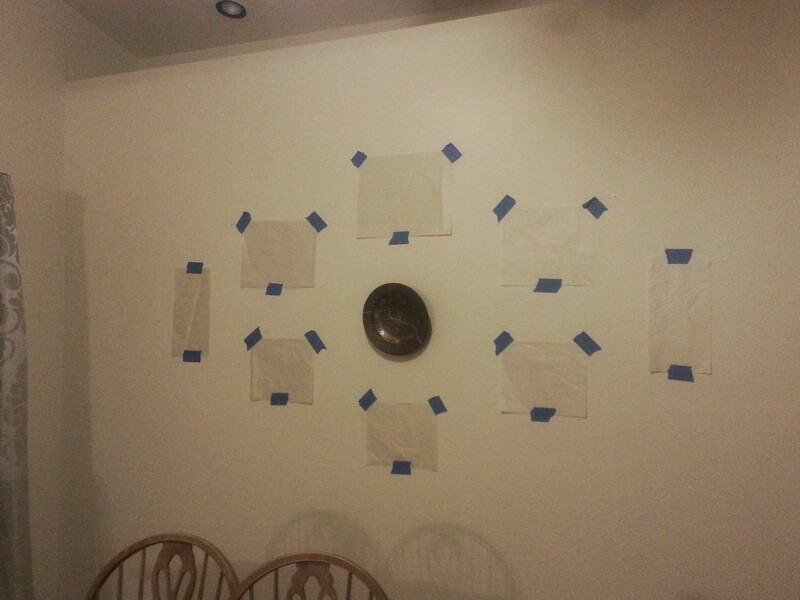 After glazing, I wiped the paint with a damp paper napkin here and there for a distressed look. And ta-da! A Hobby Lobby inspired wall scone for $5 (FREE for me as I had all the supplies on hand!) instead of $30! I have been itching to add personality to it since we moved in 6 months ago. But as you all know, decoration projects do not come easy. By the way, the story of that plate is here. 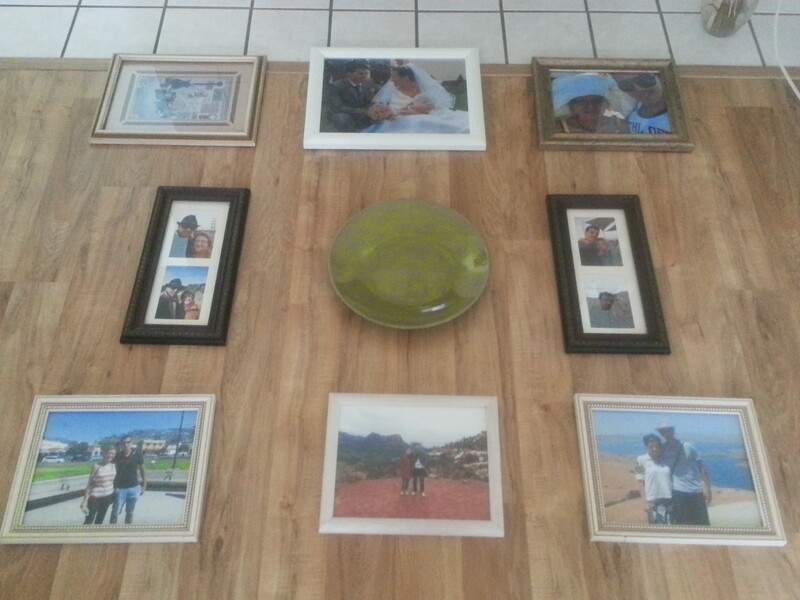 I think, one of the most tested and proven ways to add life to any space is a gallery wall. And this is exactly what I set up setting up this past weekend! 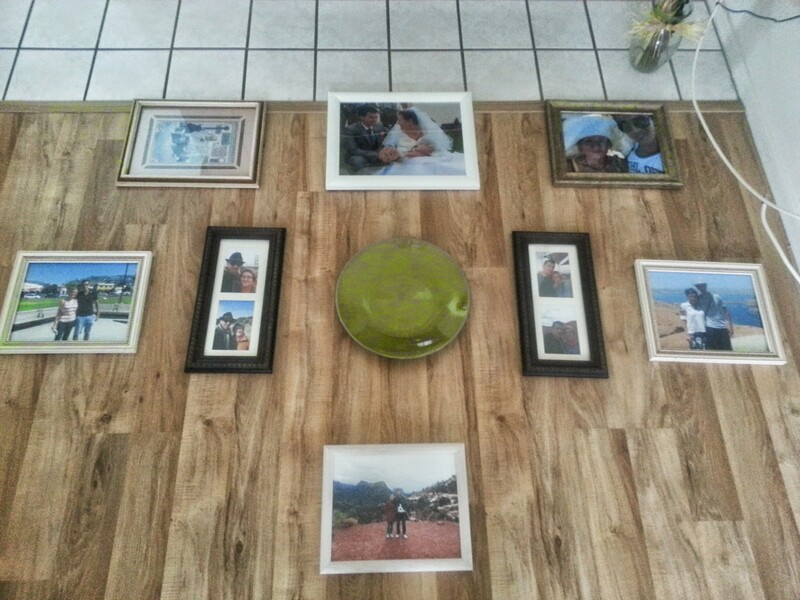 It took a bit of frames collecting and a lot of Pinterest browsing. Guess, which of the layouts is the winner? Then there was cutting and sticking. 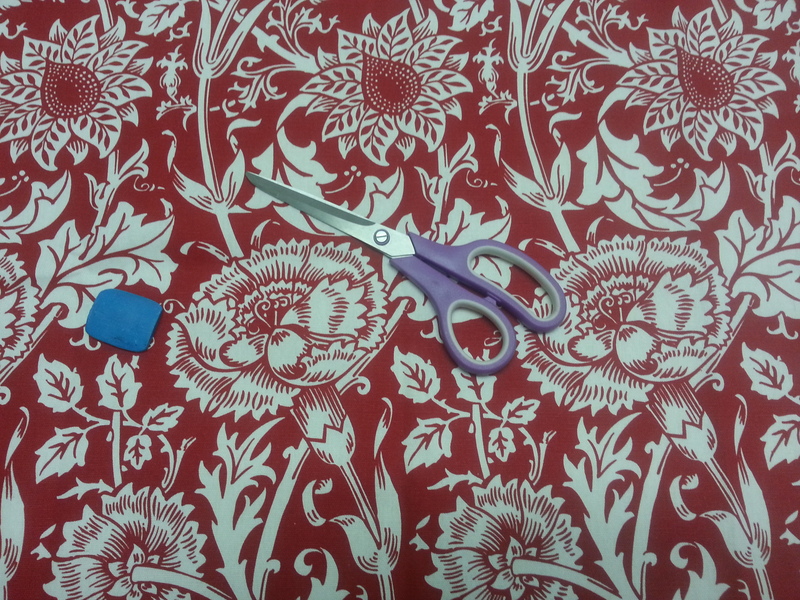 Cut the shapes of the frames out any paper (or even plastic bags!) 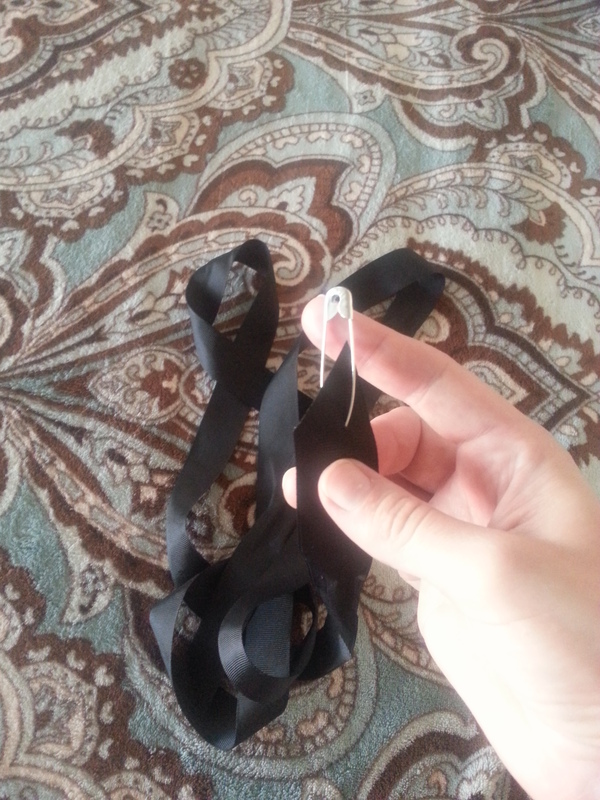 and stick them (with a painter’s tape, no pins or scotch tape!) to the wall in approximately the layout you have chosen. Stick, take a step back, observe and absorb. You have got to find the perfect distance between the frames in proportion to the wall and the room as a whole. I got to the point of satisfaction in about four attempts of shifting the stuck papers-frames closer or further from each other. 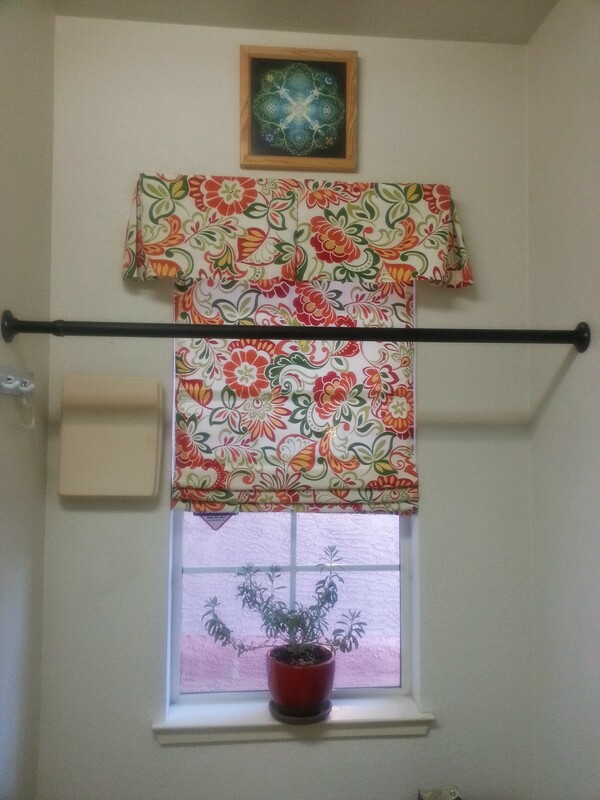 The next step is adding custom drapery! 1. Contour the frames on a piece of paper to have an ideal imprint to work with. 2. If you have different frames, I suggest write a name/mark on every paper-frame, otherwise you will quickly loose track of which goes where. 3. 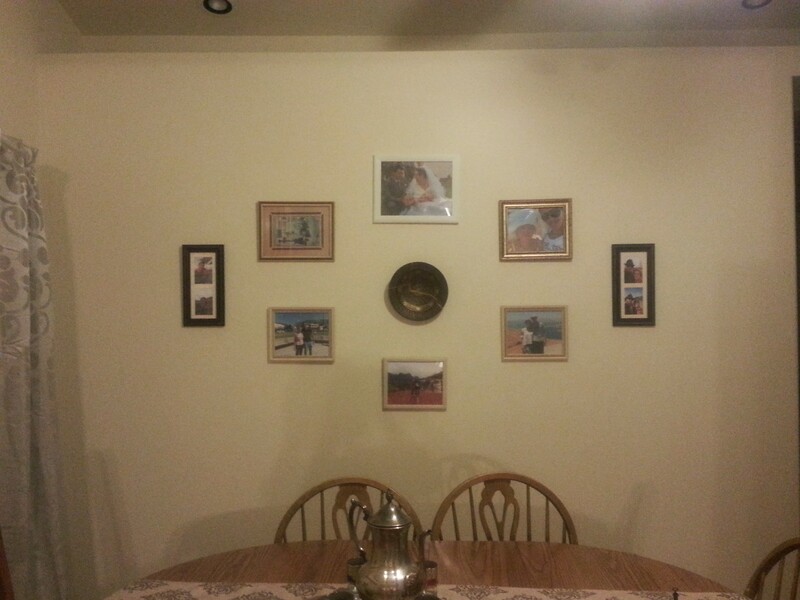 To make your orientation easier, mark the center of your entire wall. I have also drawn thin pencil horizontal and vertical lines dividing the space exactly in the middle. It helped a lot to position the frames on equal distances from each other! 4. Proportion creates a real classy look. Even half-inch deviation from the chosen ideal spoils the effect. 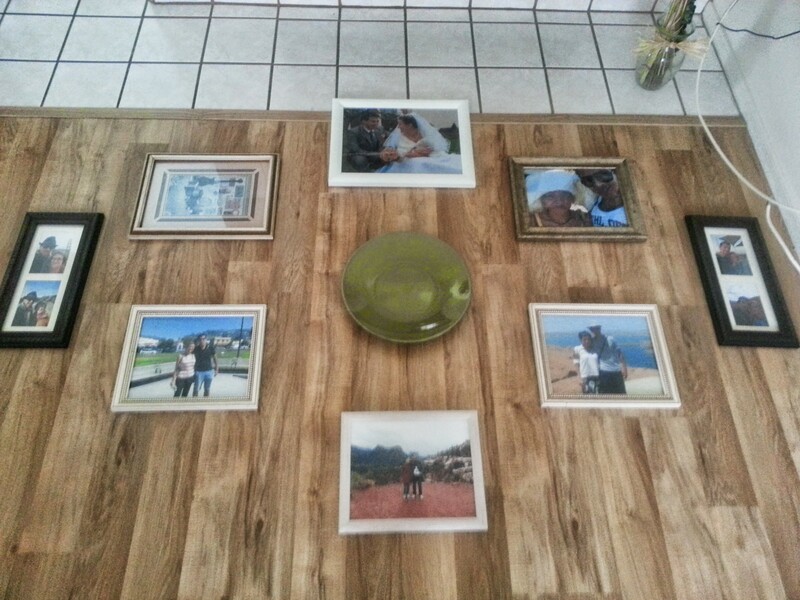 Measure the distance between the frames carefully and stick to it after you have chosen your layout. Enjoy the effect a simple change has on our surroundings! As Easter is fast approaching (as well as my other project which I am not going to disclose now in underway), I am suffering from DIY urge attack. Where do I turn for a cure? Pinterest, of course! 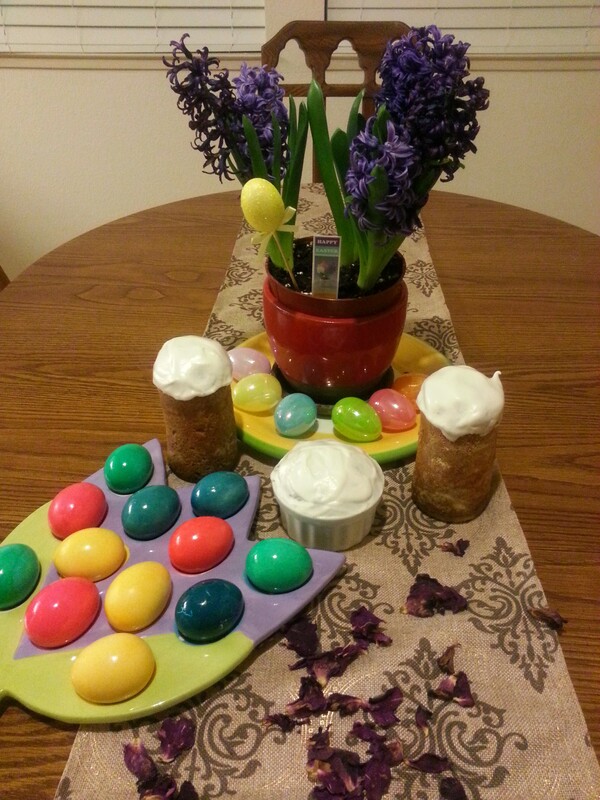 Here are some irresistibly awesome and easy-to-make paper boxes for your Easter delights. 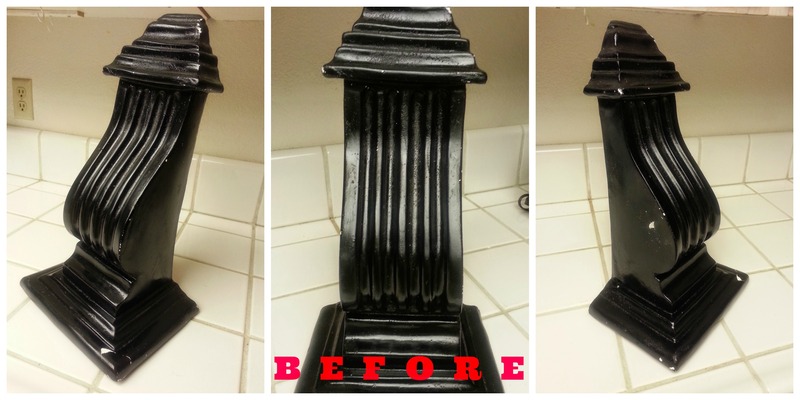 Enjoy you little DIY and don’t forget to share the results!